Peck, M. Scott. 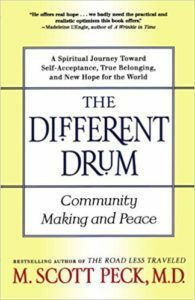 The Different Drum: Community Making and Peace. New York, NY: Simon & Schuster, Inc., 1987. A useful model for the evolution of group progression towards community in four steps.